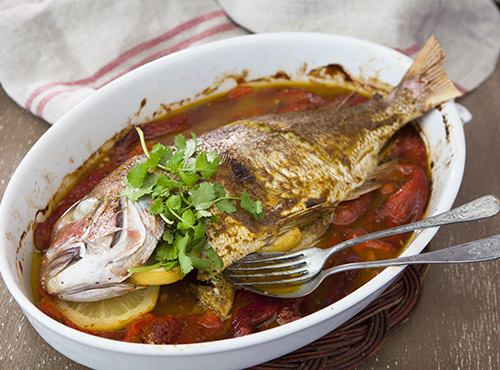 This baked fish recipe uses a whole snapper cooked in a North African chermoula, with red peppers. Combine all ingredients except fish in a food processor and blend to a paste. Score both sides of fish diagonally and rub paste into slashes well. Leave for 1 hour.